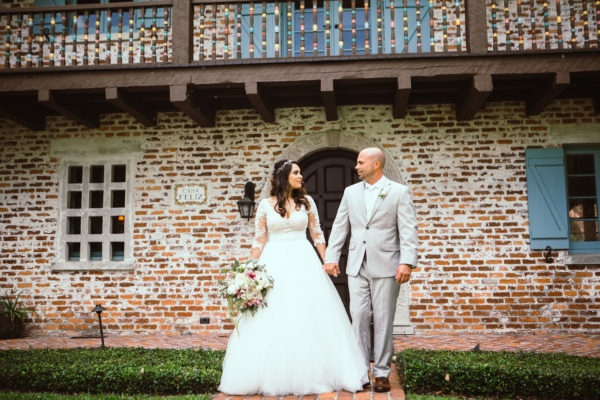 For Linda and Jeff’s Casa Feliz wedding, we converted ‘Casa’s’ Spanish-style patio into a Spring Haven. 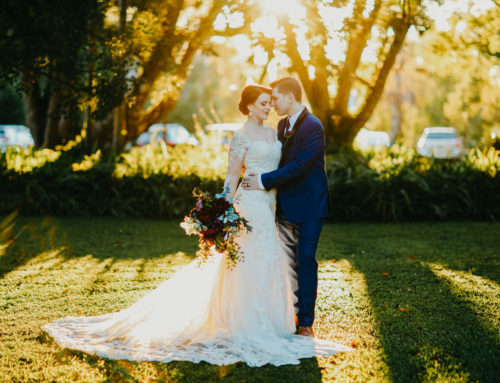 This was our last wedding of the Spring season, and its intimate, romantic feel was a great way to say adieu to Spring. 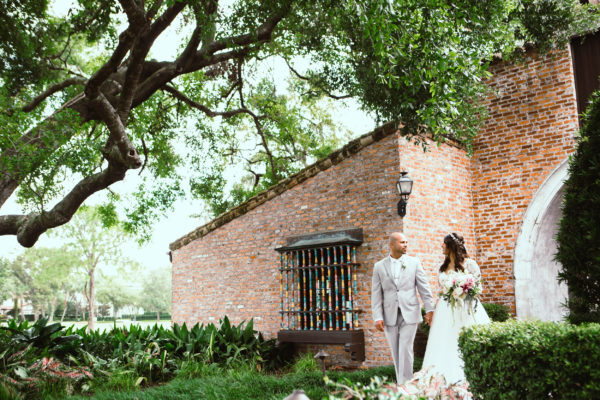 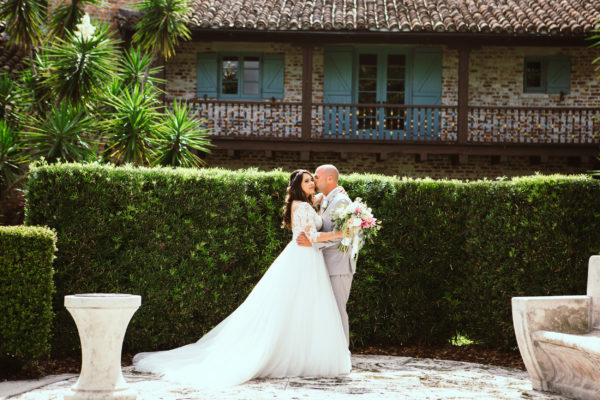 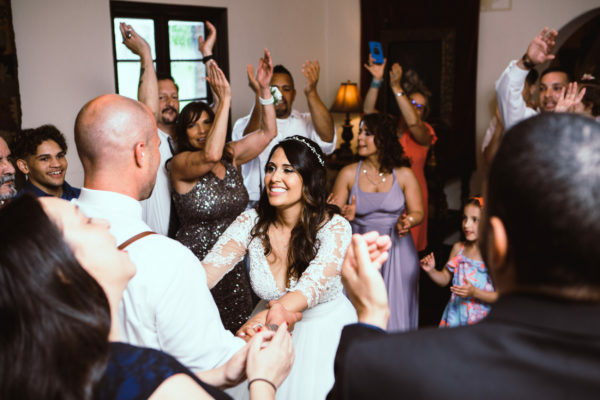 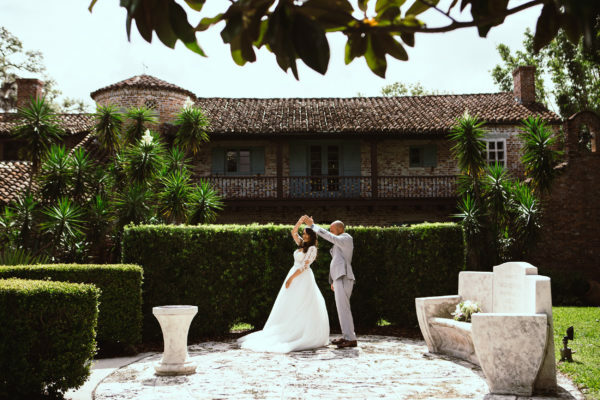 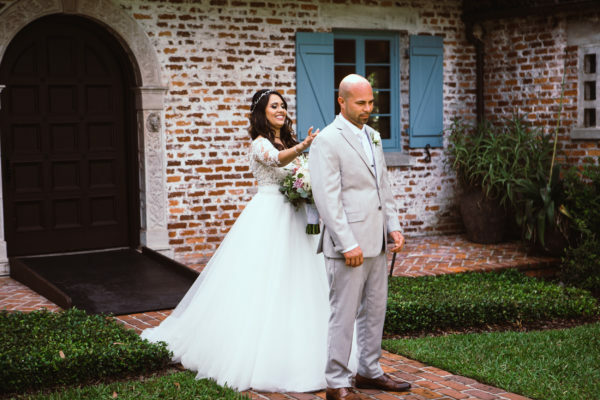 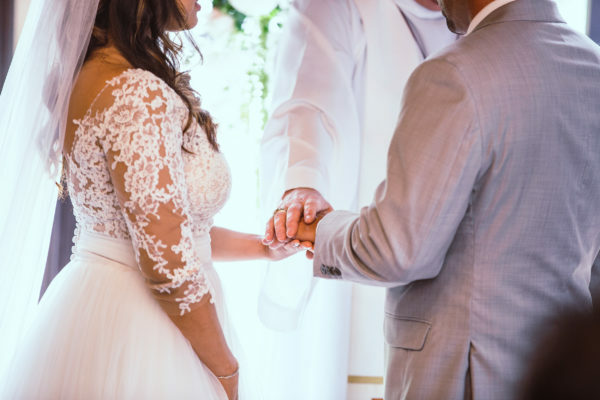 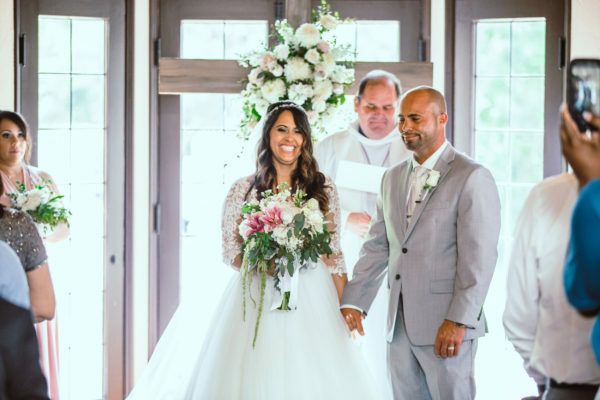 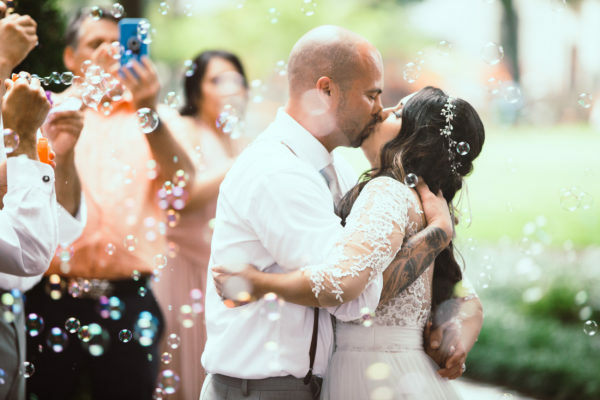 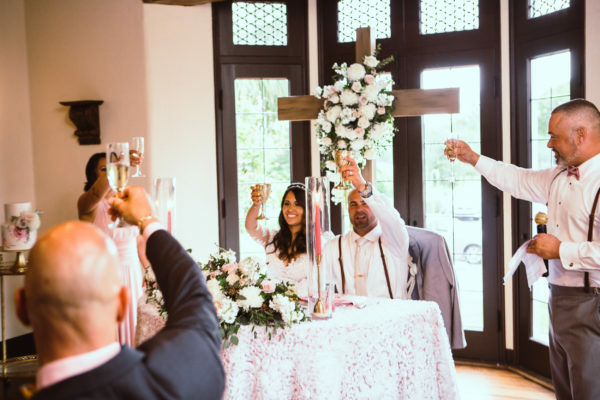 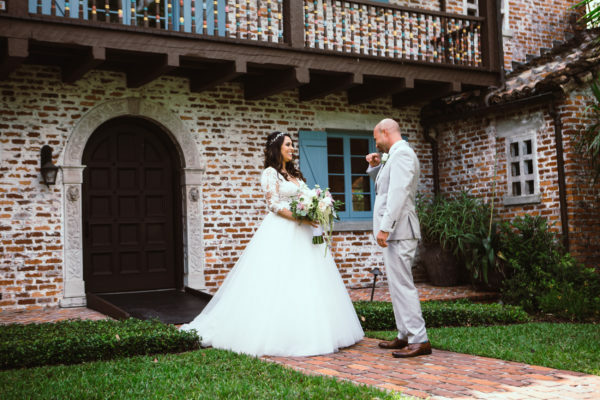 Linda and Jeff wanted to start their ‘forever’ with close family and friends, and the coziness of Casa Feliz was the perfect setting. 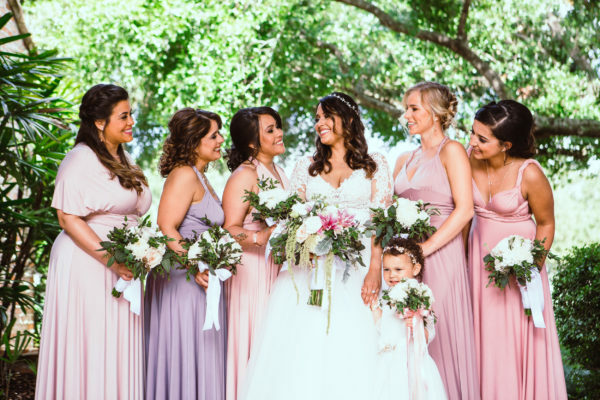 Casa Feliz was dressed in shades of dusty rose, mauve, as well as, grey & gold elements. 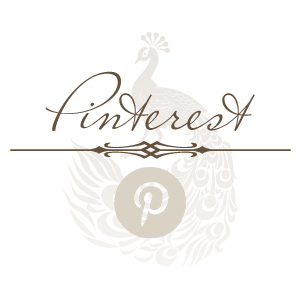 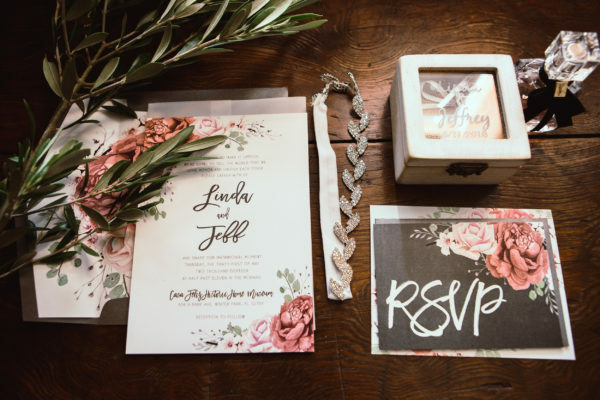 This color palette was also used in Linda’s personal floral and wedding stationery. 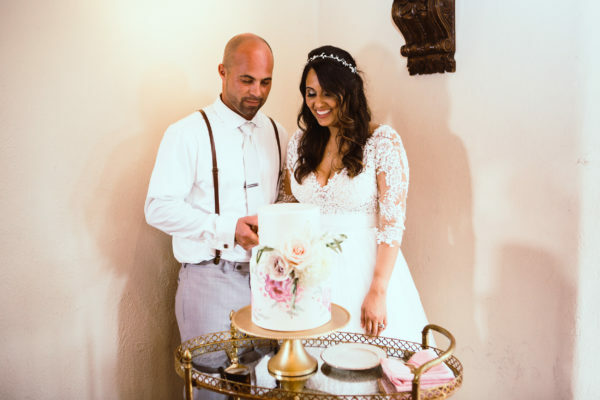 The couple’s wedding invitations were the source of inspiration for the look of their two-tiered cake as well. 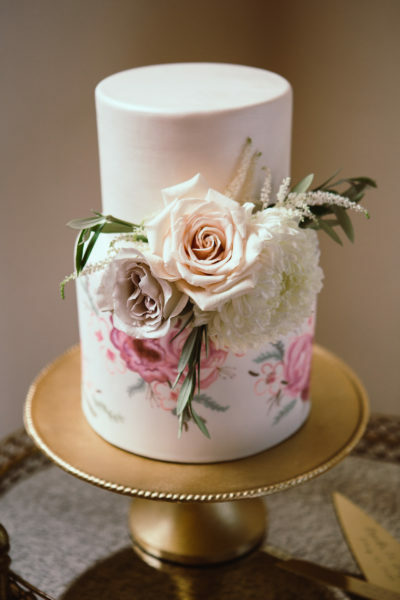 Their cake sported tones of dusty rose and blush with hand-painted flowers completed with a pearl finish. 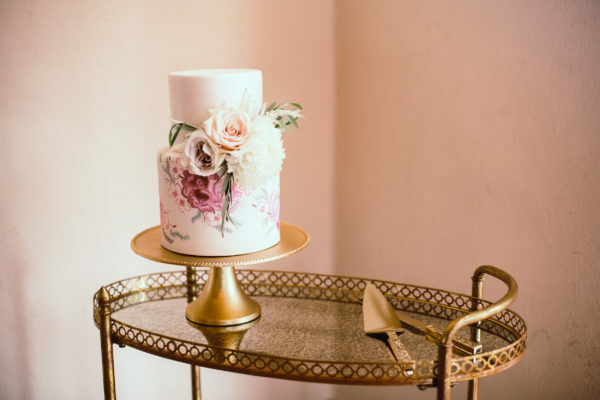 It truly was a stunning cake! 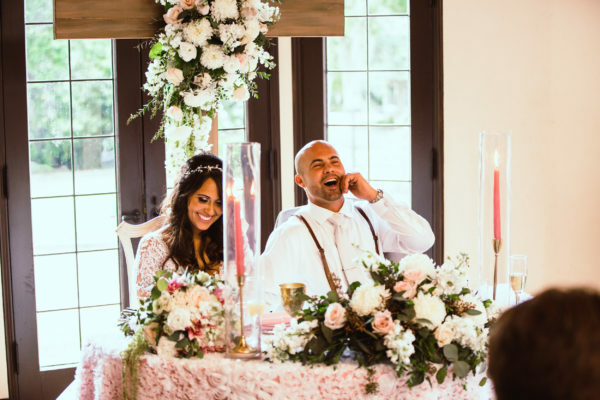 Okay, let’s jump back to the events prior to the I-do’s! 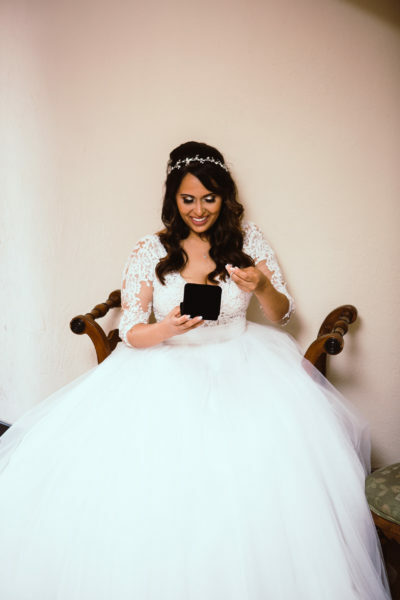 Linda and her bridesmaids started getting ready in the wee hours of the morning- 5 am to be exact! 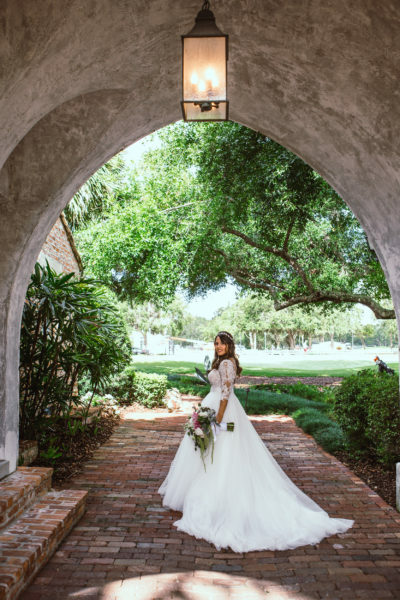 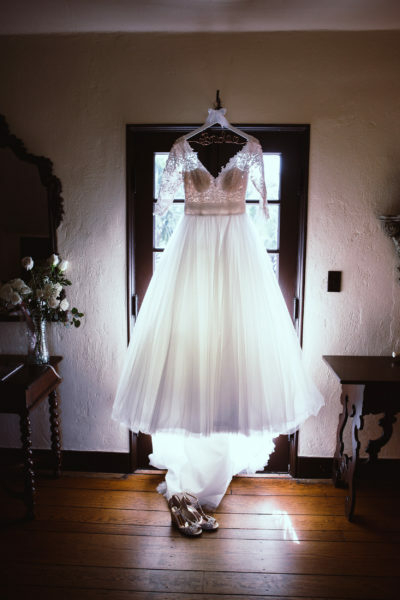 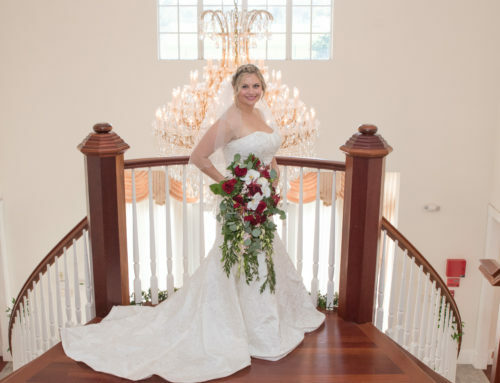 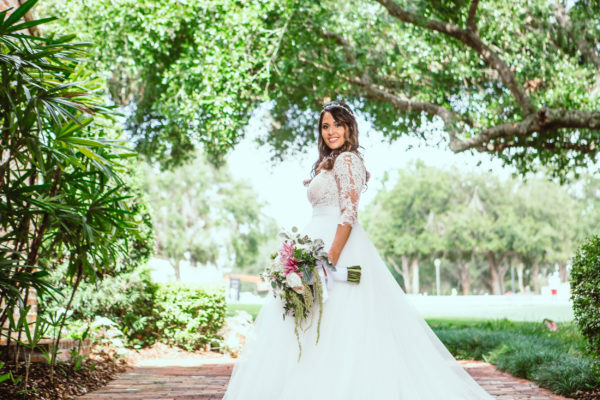 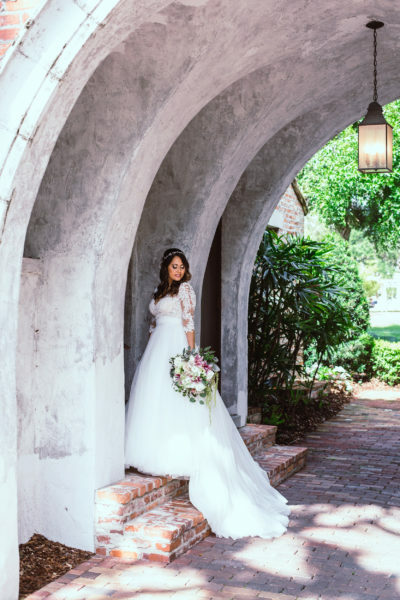 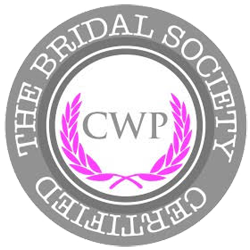 Linda wore a custom-made Rosa Clara gown and was a vision in white. 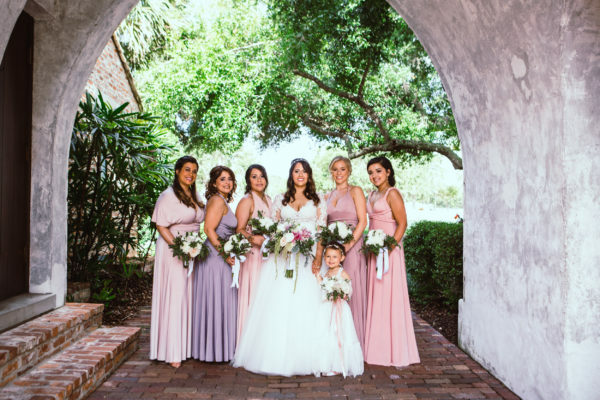 Her bridesmaids wore mismatched dresses in coordinating shades of pink & lavender- which complemented the overall color palette nicely. 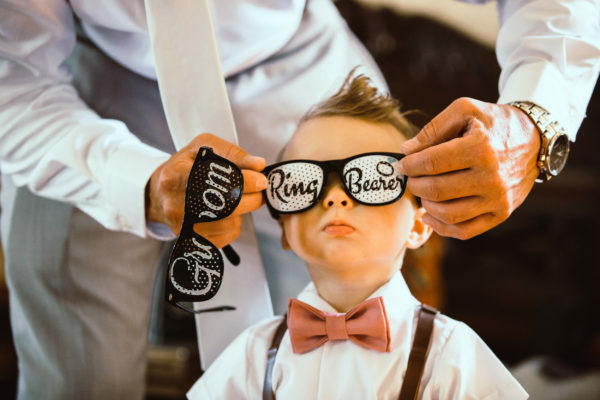 Of course, we can’t forget about the flower girl and the ring bearer! 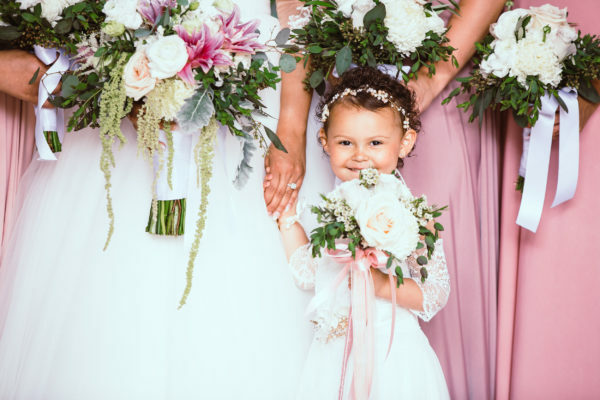 Linda and Jeff’s daughter and son acted as the flower girl & ring bearer, respectively. 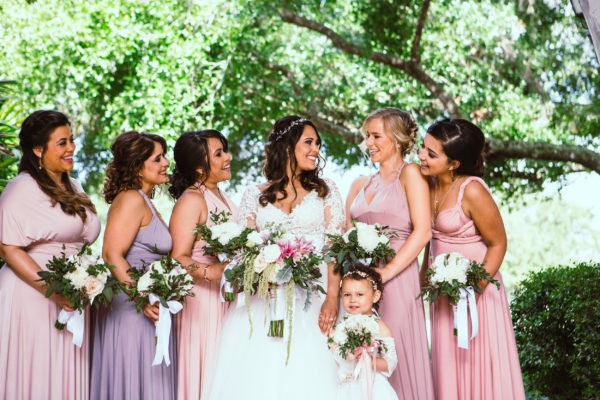 It was so cute watching the foursome get ready together! 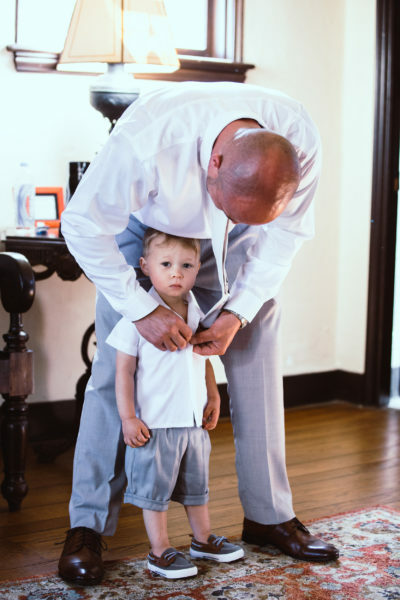 Jeff looked dapper in a light grey, Calvin Klein suit- complete with a white button-up shirt and tie. 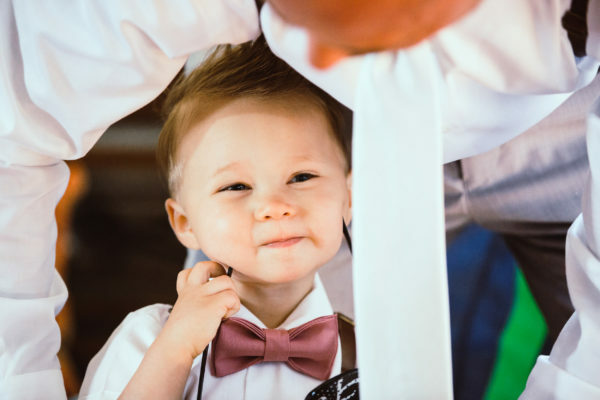 Jeff’s groomsmen sported dark-grey suits, white button-up shirts, and pink bow ties. 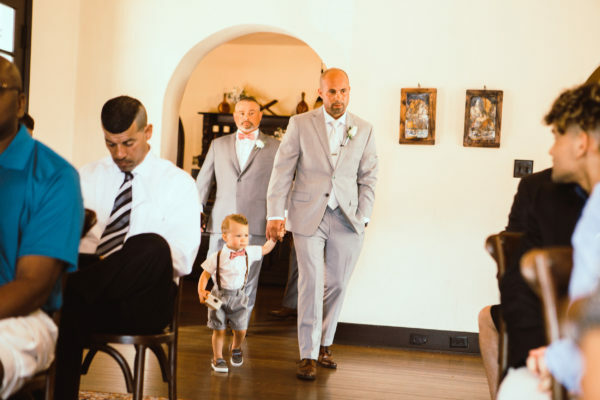 Both Jeff and his groomsmen wore suspenders that matched their shoes, and they each wore fun socks to represent their favorite football team: the Miami Dolphins. 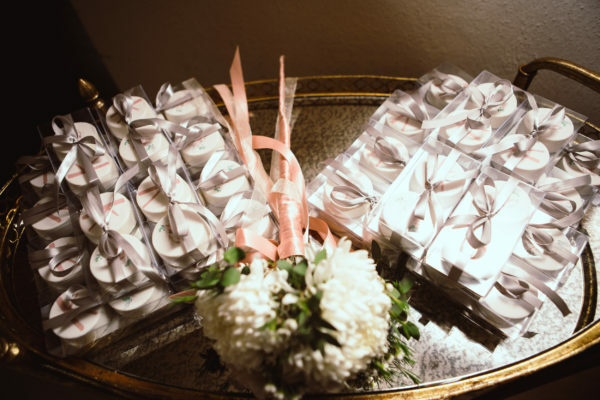 While getting ready, Linda & Jeff exchanged heartfelt notes and sweet gifts: a diamond bracelet for Linda, and personalized cufflinks for Jeff. 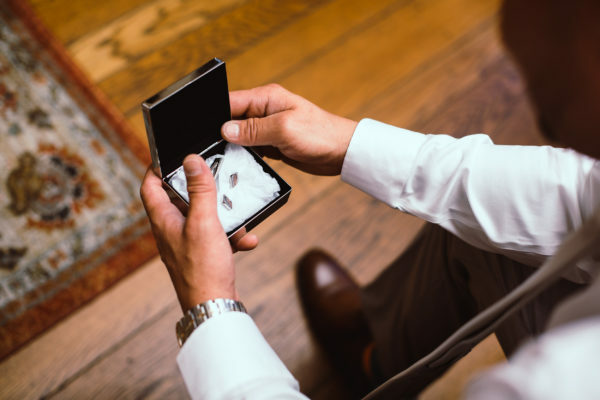 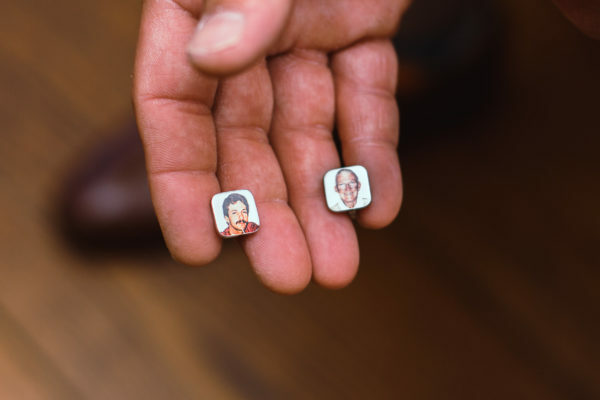 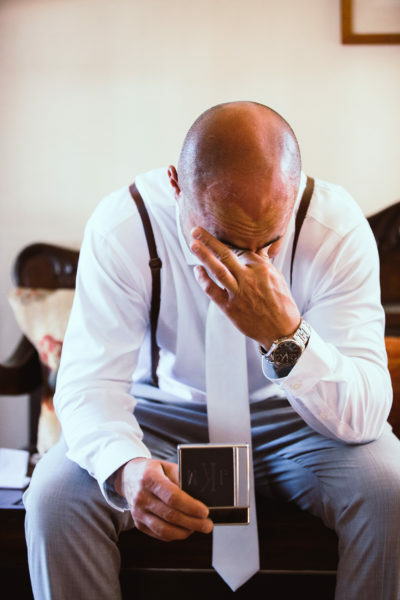 The cufflinks produced a tear-jerking moment as they were customized with a photo of Jeff’s Grandfather and Uncle, who unfortunately passed prior to the wedding and were like fathers to Jeff. 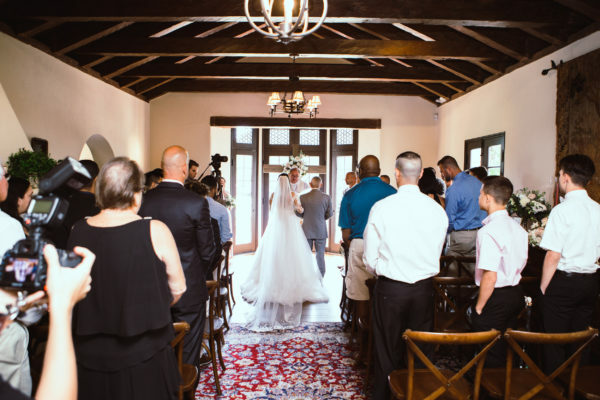 By 9 am, Linda and Jeff were on their way to Casa Feliz to finish getting ready for the amazing day ahead. 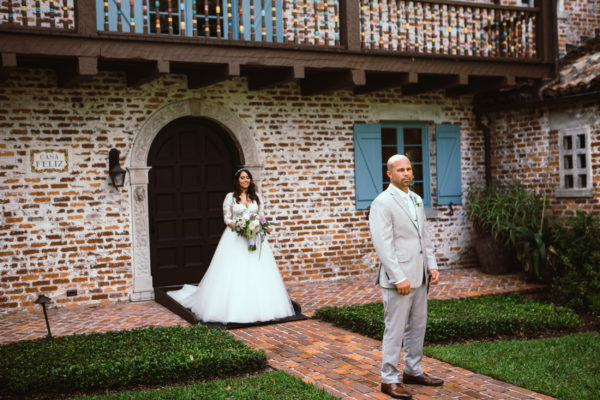 The couple had a lovely First Look, during which the rain cleared up, allowing for portraits to be taken around the grounds of the home. 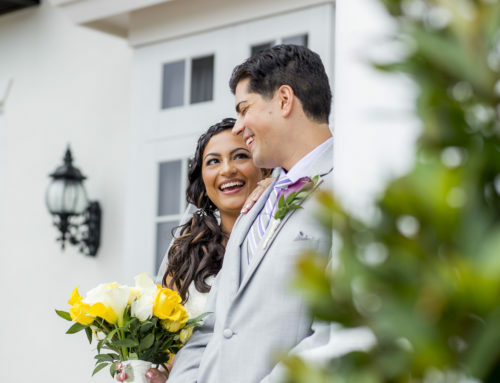 They took advantage of the clear skies and also snapped portraits with their bridal party and family. 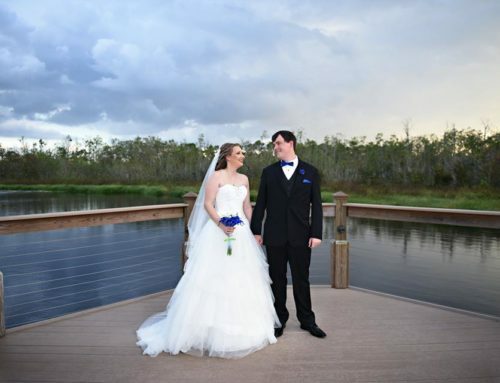 With the photos finished, the sky opened back up and we shifted the ceremony from outdoors to indoors. 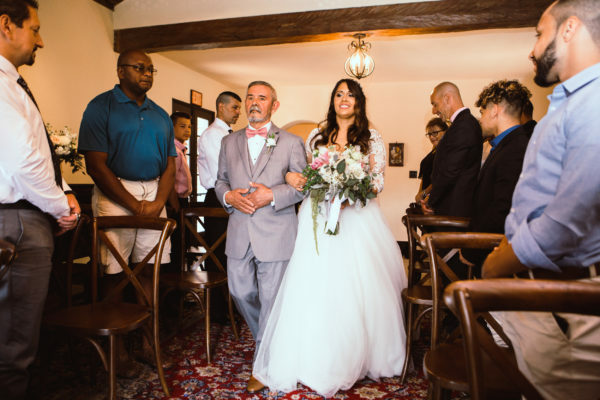 Inside the house, next to a set of grand, bay windows, Linda and Jeff said: “I Do.” Their ceremony was both sweet and endearing! 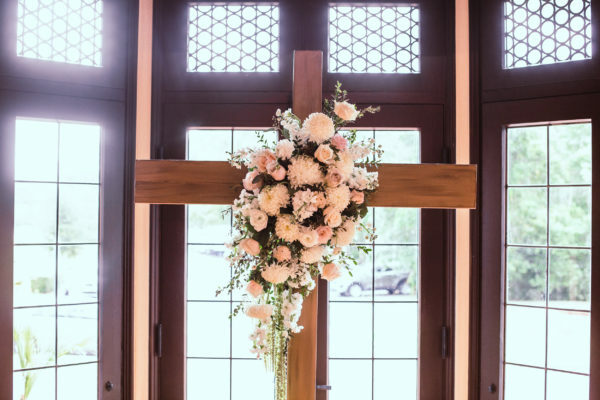 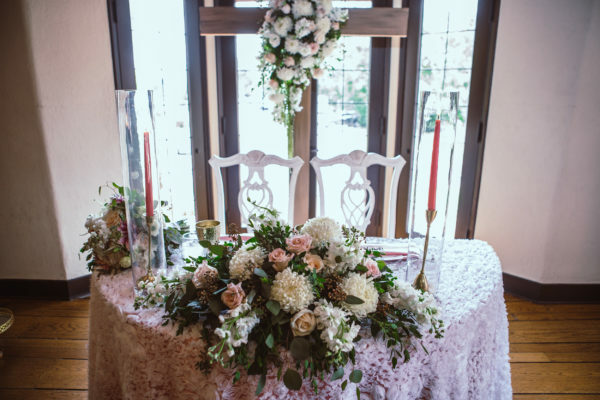 French country chairs lined the aisle and a cross adorned with loose florals stood at the end. 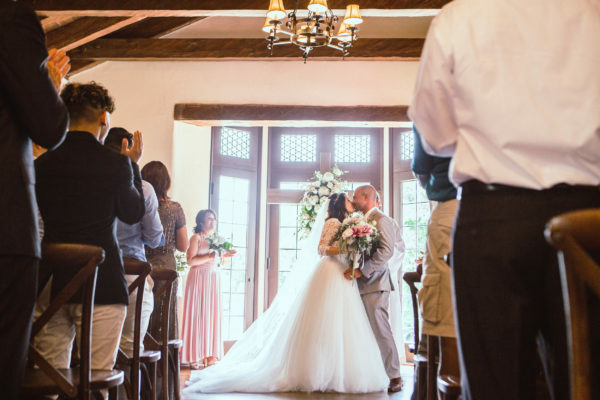 The natural light from the windows enhanced the ceremony’s ambiance as a violinist played romantic melodies. 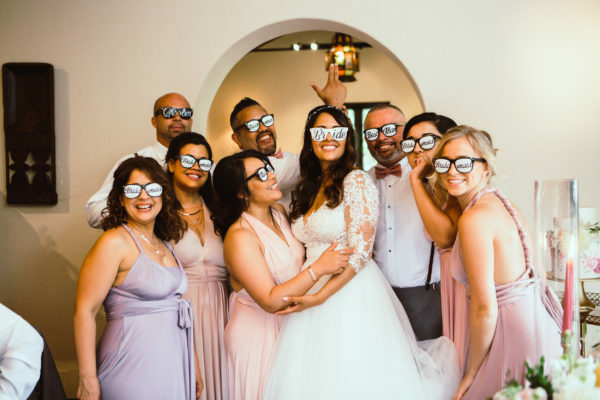 After Linda and Jeff were pronounced husband and wife, they took time to snap a few more pictures, like the infamous sunglasses & Jagermeister picture, before joining the cocktail hour. 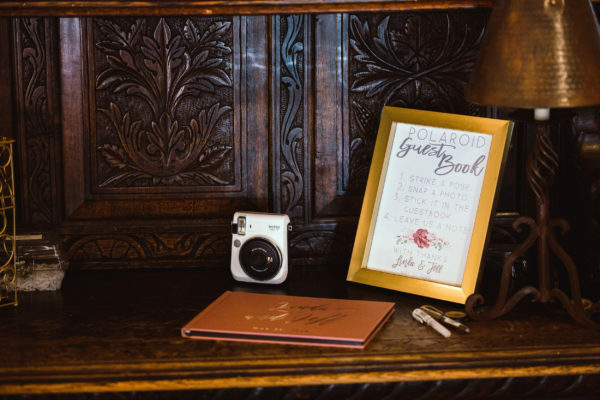 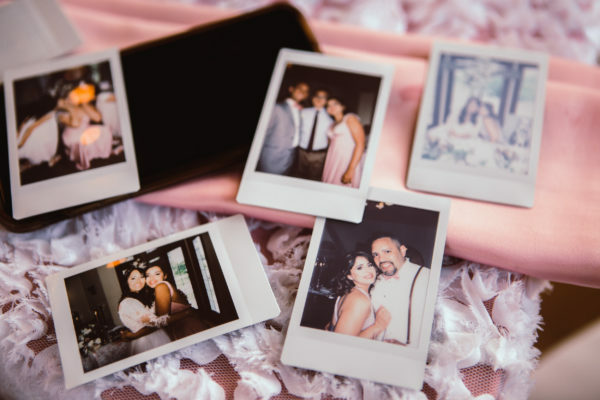 After enjoying a few cocktails, guests were invited to sit for brunch and shake it like a polaroid picture for the couple’s guestbook! 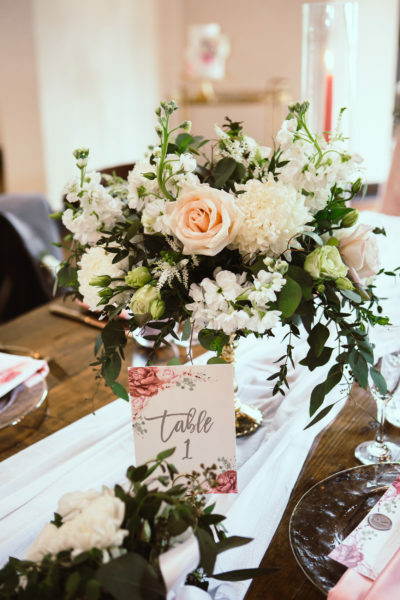 The reception space was decorated with a mix of farm tables and round tables to keep things elegant- but casual. 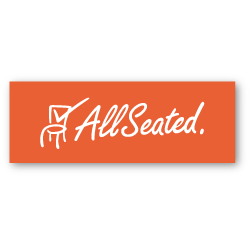 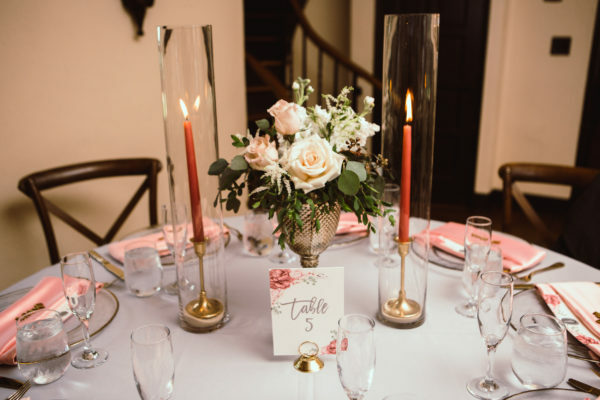 French country chairs were placed around each table, and the round tables received silver floor-length linens, while the farm tables were draped with ivory, gauze runner. 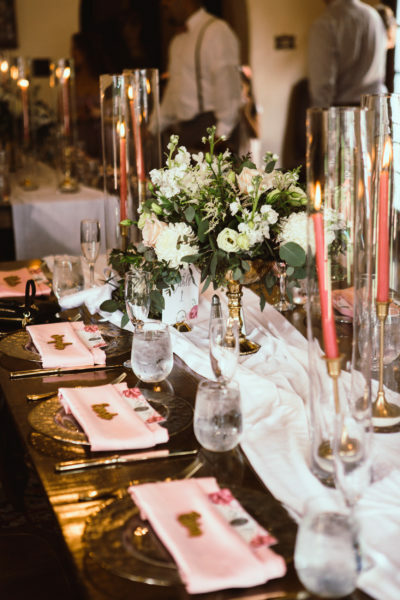 Pink Champagne Lamour napkins complemented the gold-rimmed charger plates, wood-carved place cards, floral centerpieces (in a mint julep cup), brass candle holders, and hurricanes with mauve, taper candles. 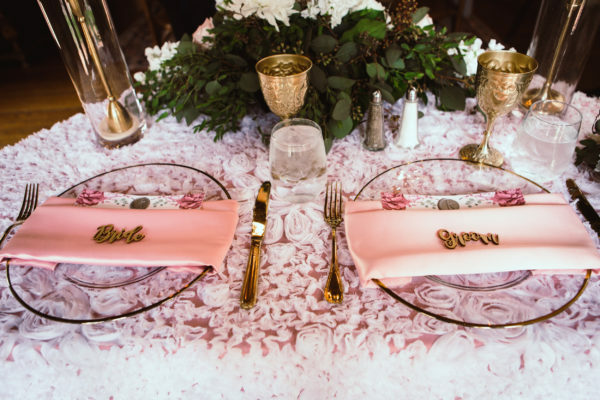 No attention to detail was sacrificed in the making of these table settings! 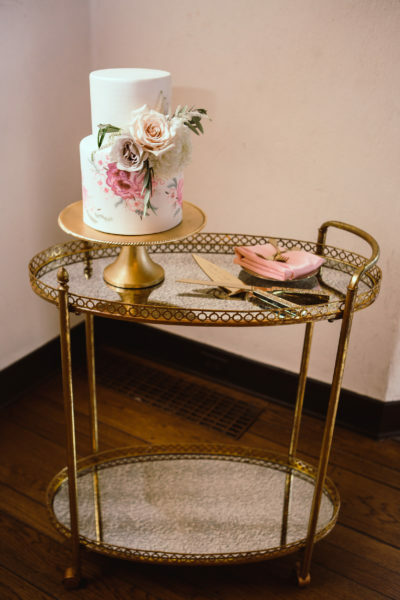 Linda and Jeff’s two-tiered wedding cake was beautifully displayed on RW Event’s Aria bar cart and once the cake was cut- it was converted to display the wedding favors (personalized chocolate-covered Oreos). 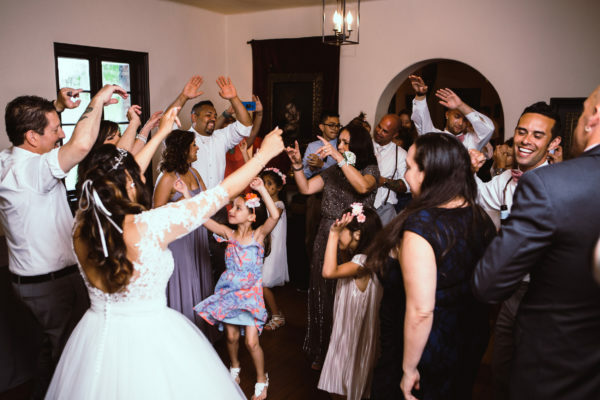 The day went on without a hitch, and the couple enjoyed hours of dancing and laughter! 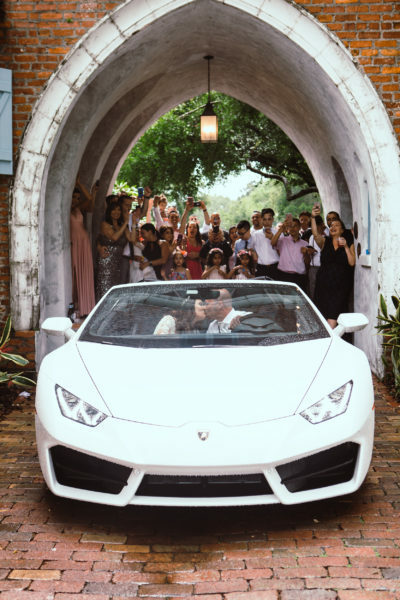 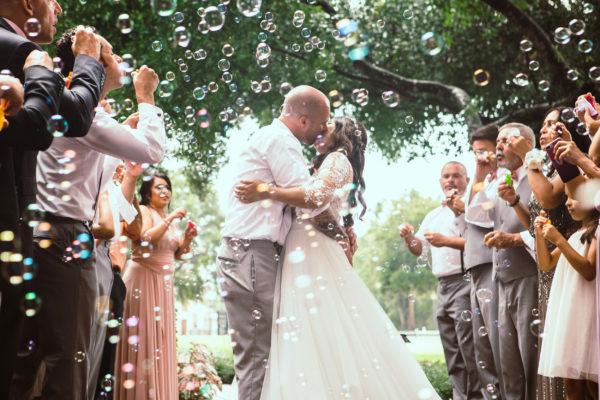 The newlyweds were introduced for the first time, the bridal party made an epic entrance, and Linda & Jeff ended the fete with an adorable bubble exit- before making their getaway in a Lamborghini. 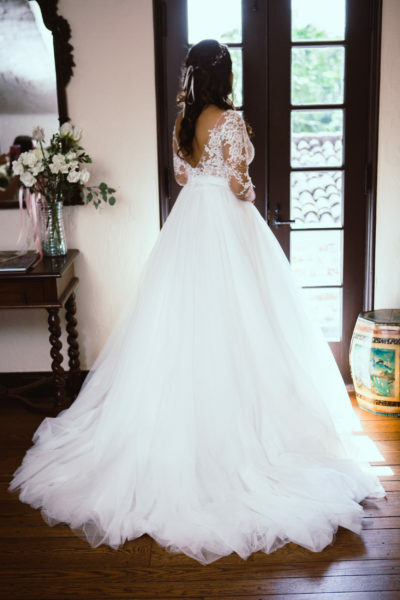 Like, are you kidding?! 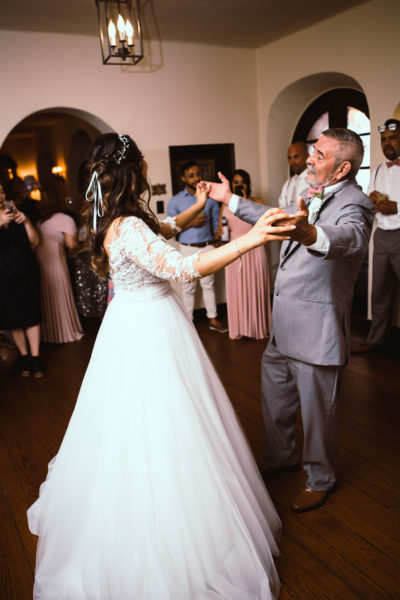 It truly was an unforgettable day for all of us! 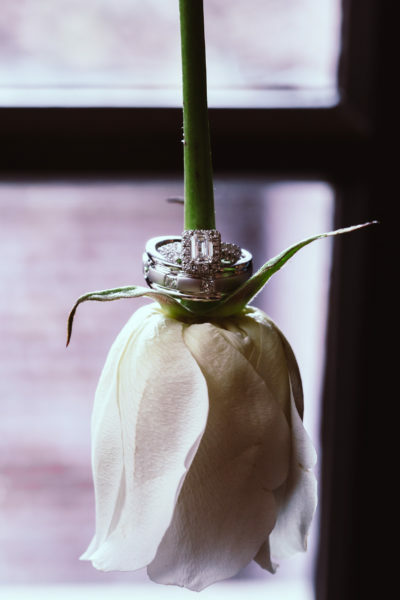 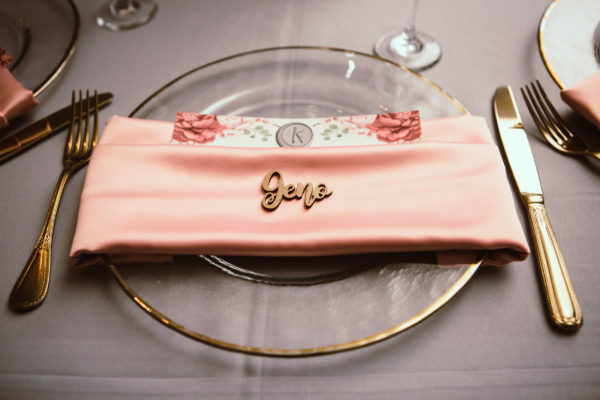 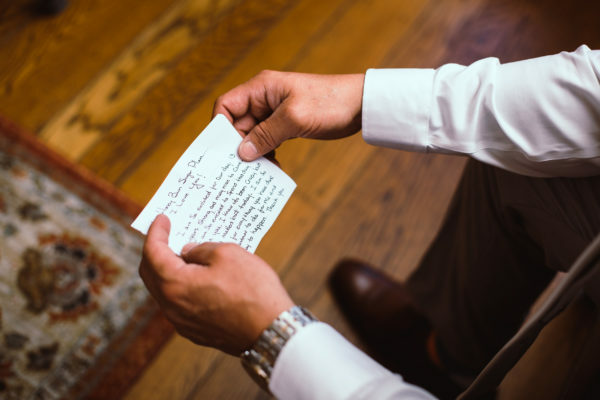 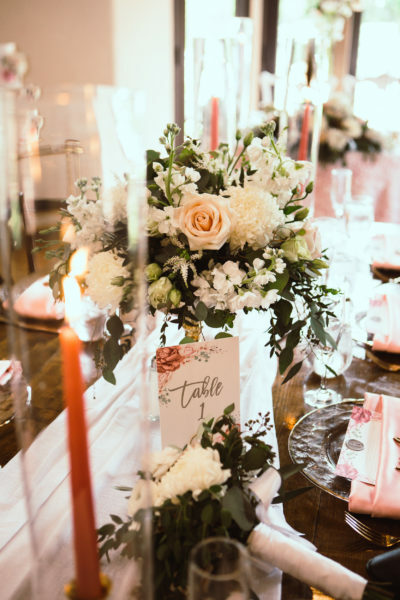 From their custom invitations to their gorgeous floral and reception decor, every detail came together exquisitely. 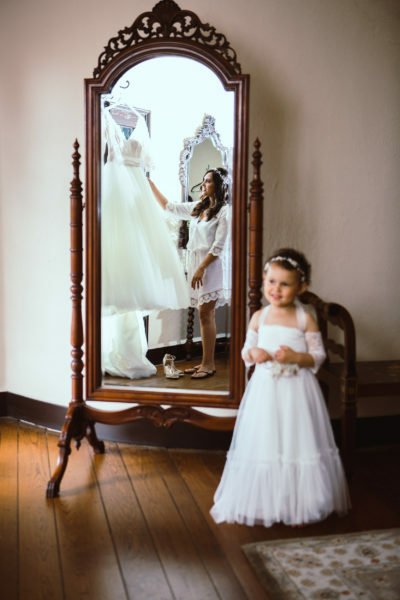 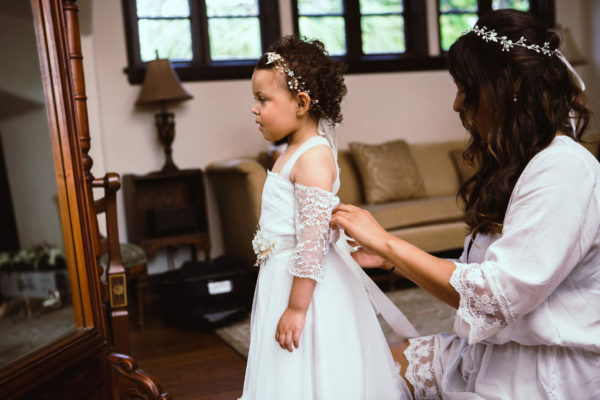 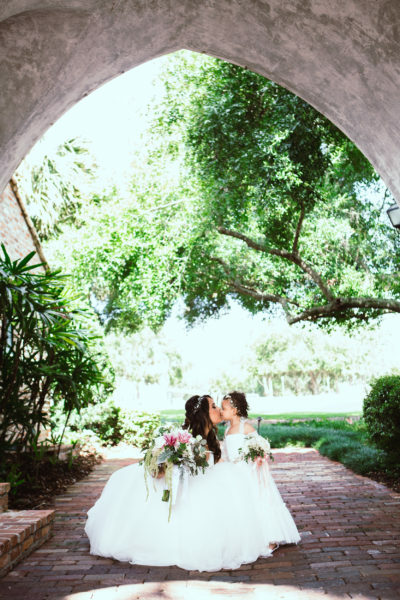 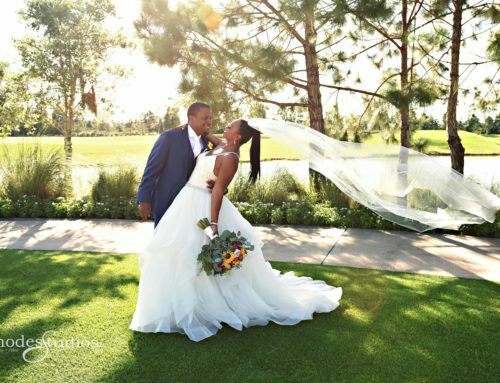 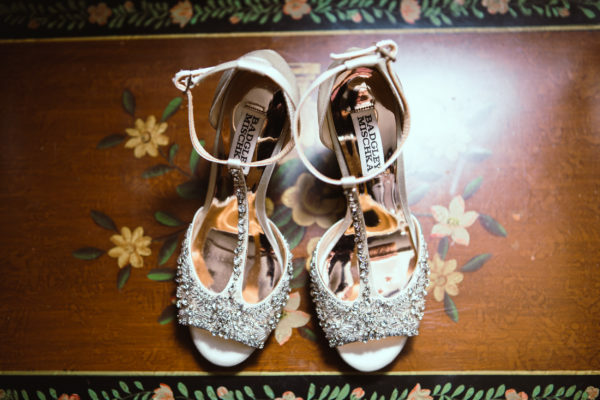 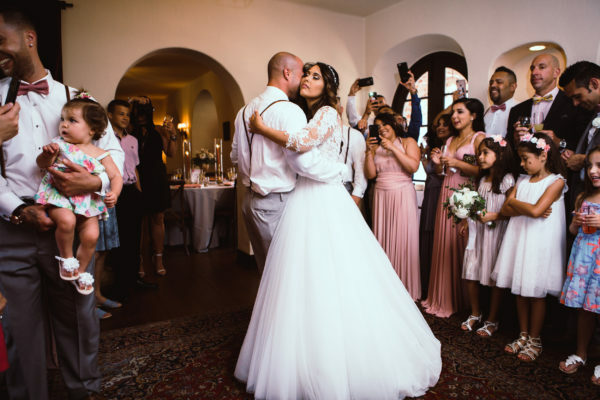 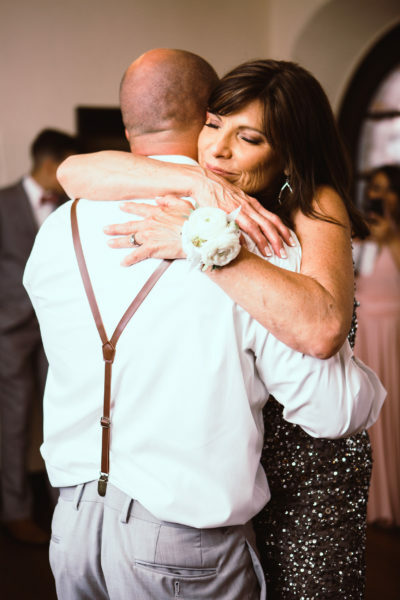 There is nothing we didn’t love about their incredibly special day!